Buy Approved Colloid Mill/peanut sesame butter grinder machine - Shandong Microwave Machinery Co.,Ltd. Approved Colloid Mill/peanut sesame butter grinder machine from shandong microwave machinery co.,ltd. 1. Approved Colloid Mill/peanut sesame butter grinder machine has electricity heating type and gas heating type. 2. Approved Colloid Mill/peanut sesame butter grinder machine adopts unique horizontal roller structure, uniform heating, good sealing, efficient roasting. 4. Approved Colloid Mill/peanut sesame butter grinder machine is equipped with energy saving stove, adjustable fire size. 5. Approved Colloid Mill/peanut sesame butter grinder machine has temperature controller, the temperature can be adjusted according to requirements. Colloid Mill/peanut sesame butter grinder machine is mainly used to grind various kinds of wet material into butter or paste shape, like peanut, soybean, almond, chilli, egg yolk, etc. Shandong Microwave Machinery Co.,Ltd.is a Nut&Seed Processing Machinery factory specializing in the production of Approved Colloid Mill/peanut sesame butter grinder machine, scientific research,manufacturing,installation, commissioning.Shandong Microwave Machinery Co.,Ltd.can provide Nut&Seed Processing Machinerycustomers with design and services of 1-2000 tons Approved Colloid Mill/peanut sesame butter grinder machine. Shandong Microwave Machinery Co.,Ltd. 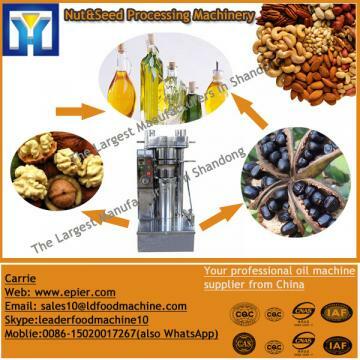 have finished hundreds of successful projects Nut&Seed Processing Machineryover the years: peanut oil, soybean oil, rapeseed oil, cottonseed oil, sunflower oil, sesame oil, animal oil,grape seed oil, acer truncatum oil, peony seed oil, walnut oil, hemp seed oil, pine oil, tea seed oil, papaya oil, milk thistle seed, and other special type Nut&Seed Processing Machineryoil. Shandong Microwave Machinery Co.,Ltd. have independent import and export department. Shandong Microwave Machinery Co.,Ltd. Nut&Seed Processing Machineryequipment has been successfully exported to more than ten countries: Russia, Australia, India, Afghanistan, Cameroon,and so on.